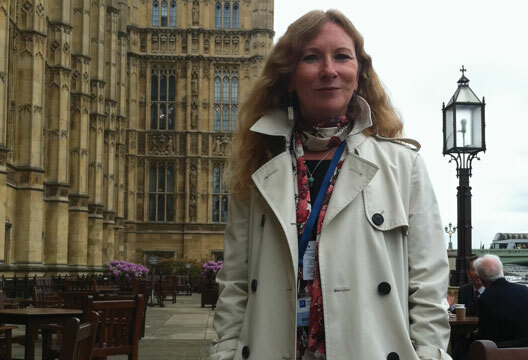 Ella Rhodes spoke to the Chair of the British Psychological Society's Division of Educational and Child Psychology, Vivian Hill, who also trains educational psychologists at the Institute of Education (UCL). A recent report in Schools Week outlined a slump in the number of educational psychologists employed in local authorities, decreasing from 1900 in 2010 to 1650 in 2015. Journalist Freddie Whittaker also pointed to a survey from the Association of Educational Psychologists (AEP) which showed an increased demand for their services. Why might we be seeing a reduction in educational psychologists hired by local authorities? This is the consequence of the austerity period and associated reluctance to increase the numbers of people in training. There’s also a historical context – we’ve reached a point where there’s a large number of educational psychologists (EPs) retiring, greater than the number of people the government is funding to train. Recently, we've had a slight increase in the number of training places nationally, provided by the DfE. Furthermore, a number of local authorities have devolved their responsibilities for providing educational psychologists, and increasing numbers of EPs are working independently, for social enterprises or for companies. There are some risks and threats with this model, it’s rather like the notion of privatising the NHS. The concern is to ensure continued access to EP services for the unsponsored and vulnerable children in our society. What I would hope to see is a guaranteed level of access to educational psychology for all children, irrespective of how much funding there is in a school at a given time. I’d have profound concern if we reached a point where there was not a fully qualified educational psychologist attached to every local-authority-maintained school in the UK. What is the current uptake of educational psychology services? What we have seen in recent years is a huge increase in demand for educational psychologists from schools, and that, to me, is the evidence base for training more educational psychologists. What we were finding was that schools were buying in additional time from educational psychology services, particularly for work that was focused on meeting children’s mental health needs. Increasingly, educational psychologists are trained in therapeutic approaches and techniques, like cognitive behavioural therapy and play therapy, and those were the additional services schools were choosing to buy. We are facing a crisis in CAMHS services, in some parts of the country, waiting lists range between six and 12 months. And at a time when school budgets are going to be decreased I would be concerned about ensuring access to an educational psychologist. The Prime Minister has suggested the introduction of a psychological first aid kit that teachers will have to implement. This would be huge responsibility for teachers and most would want the support and guidance of an EP in making sense of children's behaviour. What impact could this lack of psychologists have on children, schools and families? Children would face huge delays in having their special educational needs identified and gaining access to appropriate provision through an education, health and care plan, which is their statutory right. Local authorities that don’t have enough EPs and are unable to recruit will be in breach of their statutory responsibilities to children in that area – these are very serious consequences. Furthermore, we might have children presenting with marked mental health needs whose needs may not be properly understood and managed. We may have children who are presenting with a profile of behaviours that actually aren’t reflective of mental health needs, but who are being referred into over-subscribed CAMHS services by teaching staff. In many cases teachers would not have the expertise to make the judgement about whether the behaviour of an individual is an appropriate response to adversity or whether it’s a genuine glimpse of a young person with the onset of a mental health need. What can be done to assure the future of EPs in schools? I believe we have a clear commitment from ministers and the government to the continued support of children’s educational needs. Making it a service that’s bought-in risks some children having lesser rights, access and entitlements. We need a clear commitment to funding sufficient training posts to sustain the delivery of EP services. The consequences of unmet mental health needs in childhood are huge, in terms of future public expenditure and a lifetime of suffering and difficulty for an individual. However, a timely response can turn around a young person and give them a life of happiness and wellbeing.